Lieutenant-Colonel John McCrae’s famous poem, “In Flanders Field“ was first published in England's Punch magazine in December 1915. The poem symbolizes the sacrifices of all who were fighting in the First World War and became one of the of the most popular and quoted poem of the war. 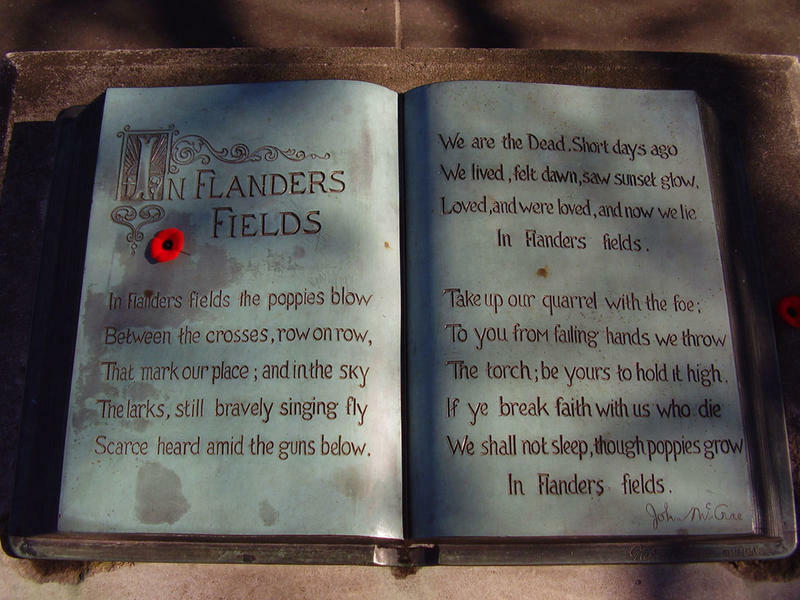 In Flanders Fields remains to this day one of the most memorable war poems ever written. "It gets to your soul. It gets to your emotions. It makes you feel that you're part of this continuum, be it war or peace."